Welcome to Herbal Beauty Salon and refresh and revitalize yourself with clinically tested natural herbs beauty treatment. From the moment you walk into salon, we will pamper you with the salon's exclusive services like heena tattoo, body waxing, body massage, bridal make up, eyelash extension, herbal facials and all by our highly trained experienced professionals. With excellent world class services, advice and care we make friendly atmosphere to give you a wonderful experience. We are a perfect place to unwind your all tension and daily stresses. 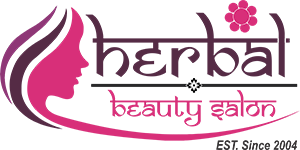 Herbal beauty Salon was founded in the heart of New York with the aim to give best herbal premium services to the women who wants to look beautiful every day. We deliver a complete line of organic natural products to rejuvenate your mind. Owned by professionals with years of experience, we want you to feel incredible dazzling just after our exclusive services.